There are a lot of piano instruction books that you can buy online or in music stores for using in becoming a better pianist. In fact, if you really want to become a good pianist you’re likely going to need a music book of some sort to give you practice exercises. It can be difficult to know which book to use, seeing as there are so many of them – not all of which are good. Some are redundant or simply not up to par. The different piano music books cover things like theory, scales, history of composers, chord charts and more. Some of the modern piano masters like Williams, Bastien, Glover and Thompson have written their own lesson books too. There are several different types of lesson books for piano. You have general lesson books, of course – one of the best is the one by Bastien called “The Adult Beginner” which goes into adult piano lessons . In addition to music theory, this book gives you a great deal of general piano lessons as well. There’s another book in particular, by Leonard Bernstein, called “The Joy of Music” and its concentration is in music theory. This is best for people who want to get the basic gist of music before jumping in to start playing. Another important part of learning how to play piano is developing proper technique. One of the best books for this is written by C. L. Hanon – “Virtuoso Pianist in 60 Exercises”. Although the book was written over a hundred years ago many teachers still use it as a standard method of instruction. On top of all these books, you likely need a book of songs to allow you to get some practice in combining everything you’ve learned. There’s no specific book I can pick, because it’s all up to personal style. Whether you like rock, gospel, blues piano or jazz piano , you’re bound to find something. Just run a search online. When you get song books, also get fake books. These are books that have the lyrics to songs, the melody line and chord symbols. Basically a song stripped down to its barest essentials. Fake books are often very large, having a thousand songs or more in them, and they’re quite a bargain. Fake books now usually sell for about $25, from what I’ve seen in my local music store and have hundreds or thousands of songs. Keeping these recommendations in mind will help you to begin building your musical library for reference whenever you might need a refresher of the basics. Even the most advanced piano players feel the need to return to basic exercises sometimes, which is why having a stockpile of piano books is a good idea. Usually you can find piano books online on Amazon or Ebay for a relatively cheap price. After you read all the books you can still choose to turn to instructional piano DVD's or piano video tutorials to get a more visual understanding of the piano. These are also great because you can play them over and over. 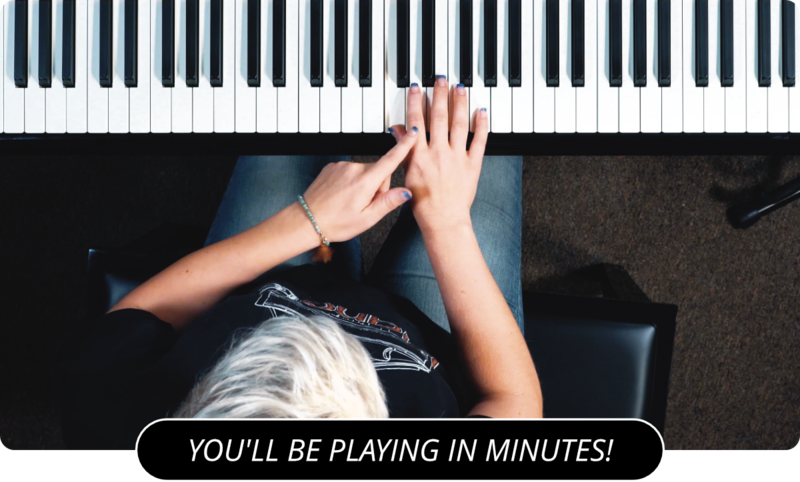 Learn more about what piano books to use to learn by visiting the main page of PianoLessons.com , or by browsing some of the other piano lesson articles on this web site.